If you’re around Realtors for any length of time, you will hear them talk about “Fizzbos.” It may take a while to realize that what they’re really referring to is a For Sale By Owner property and, by extension, the owner of the property. FSBOs often assume that they have figured out a great way to save money. After all, the logic goes, why pay a real estate agent commission? You can put a sign in the yard yourself, right? And especially when the market is hot and inventory is low, it might seem that selling your home yourself would be easy. 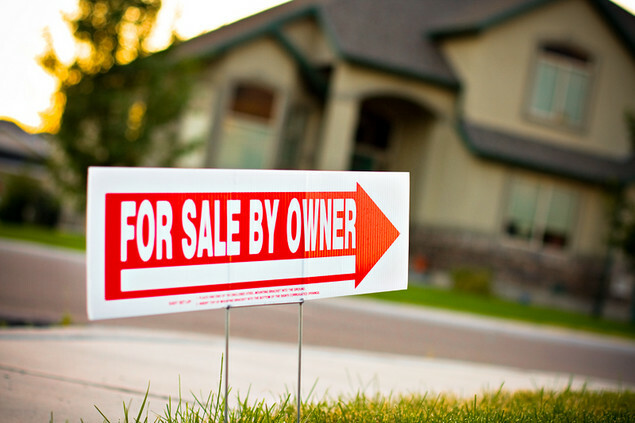 But a For Sale By Owner transaction can have many pitfalls. Here, then, are some things to think about before you try to sell it yourself. Market Expertise means Pricing it Right: Many people think that they know what their home is worth. After all, you heard from a friend of your neighbor’s yard man that the house two blocks over just went for $700K. Ergo, your house is now worth $700K. Right? Wrong. There are many reasons why houses command the prices they do–the desirability of a cul-de-sac over a main road, the popularity of a particular floorplan, upgrades and updates, or market fluctuations. Price your home too high and you could be sitting on the market, your listing growing stale, then chasing the market downward and getting far less than you expected, all because you didn’t price it right the first time. Emotions make for Bad Negotiations: One advantage of having a great Realtor is that they are able to look at your property, pricing, and any offers that come in objectively. And that objectivity makes them valuable in a tough negotiation. You can’t afford to be hurt or insulted by an offer, but that emotional tie to your home can create poor decision-making. In addition, real estate agents understand what is customary in the local market, so they are more effective at negotiating items like closing costs, repairs, and home warranties. The sign in the yard isn’t all it’s cracked up to be: I occasionally see FSBO signs in yards around my neighborhood. When I look up the address on my phone to find out what they are asking for their home, do you know what I find? Nothing. Because these homeowners have not listed their home with a Realtor, they are invisible in the one place where more than 90% of Buyers are searching—online. That means that they are limited to just the people who happen to drive through the neighborhood, and happen to see their sign, and happen to be in the market for that type of home in that neighborhood, and then are willing to call and talk to a real live person and ask the price of the home. Those are some pretty long odds stacked against the sale of that home. You don’t want to find you’ve made a huge mistake: Make a mistake in the staging of your home, you might recover. Make a mistake in the legal paperwork involved in a home sale, you could be paying for it many times over. Disclosures, breach of contract, accusations of fraud—without the proper paperwork, you could leave yourself open to a lawsuit. Hiring an attorney? They don’t have the errors and omissions insurance that Realtors have (which protects you from the Buyer’s suit) so they may not be as helpful as you think. It doesn’t make sense for your Bottom Line: Why pay for photography, marketing, legal fees, and more in order to save on the Listing Agent’s commission? When you list with an agent, he or she pays for those items and uses their extensive network to reach out to other agents all over the area to find a Buyer for you. Add to that the time you spend doing it yourself and the ability of the agent to price your home right the first time and negotiate a better deal than you probably can and the agent’s commission begins to look like money well spent. Everyone loves a bargain, but the sale of your home is too important to leave to chance. Let an Eng Garcia Grant real estate agent sit down with you for a Listing Presentation to show you how our expertise can help you get your home sold. Nobody knows DC like we do. Put that knowledge to work for your home sale. Contact us today for a free CMA and let’s get started.